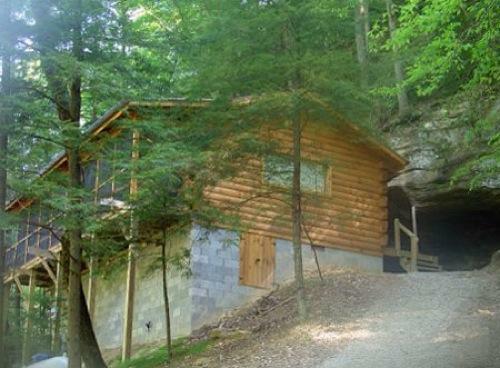 Fireside is a two room vaulted log cabin nestled against a spectacular rock overhang. 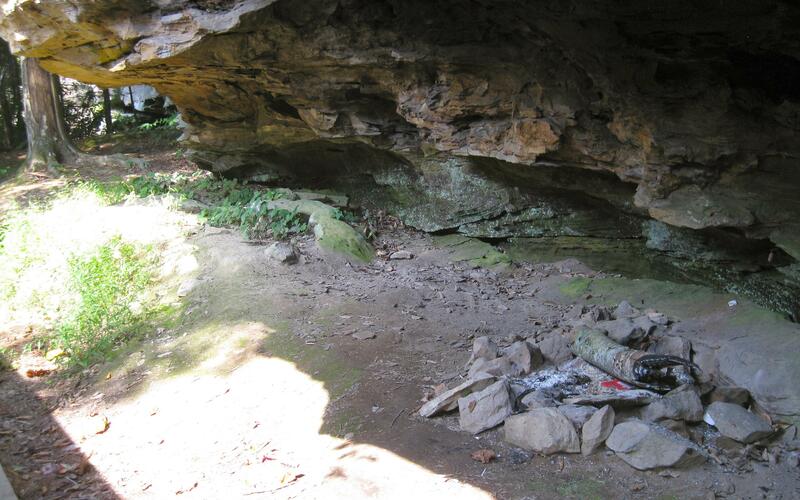 Situated under the rock overhang is a campfire pit that illuminates the inside of the cabin at night. Sleeps 3 people. 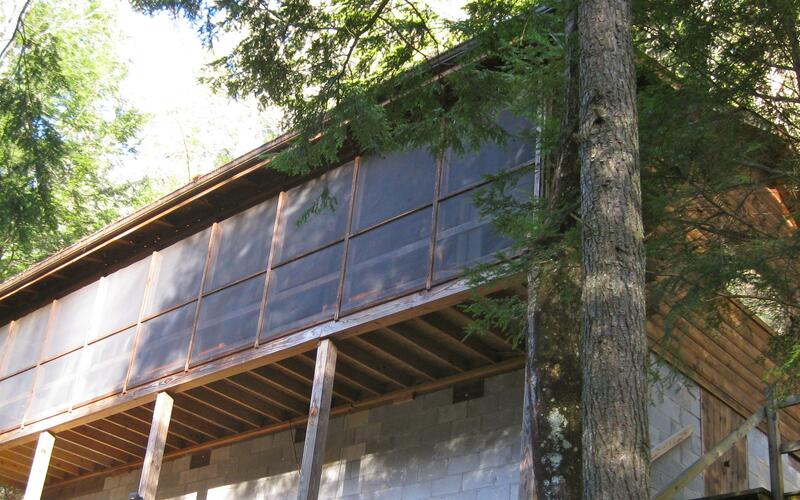 The cabin features a large screened porch in front. There is a four poster king-size bed and a queen-size futon for additional guest. 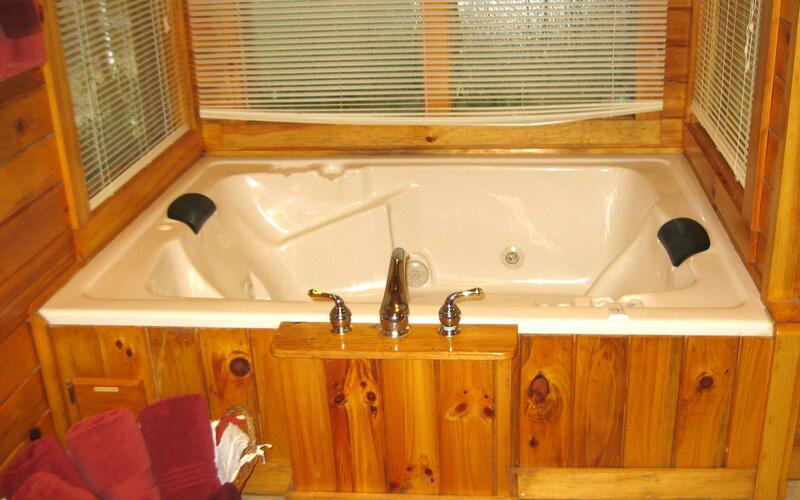 This cabin boasts a large sunken bathroom with a double tile shower and double jetted tub tucked into a bay window. Fireside also has a full kitchen, W/D, gas FP, grill, A/C, phone, satellite TV, DVD, and wireless MP3 speaker for use with your mobile device. Wireless WI-FI. Allows 1 pet. An ideal romantic cabin sleeps 2 snuggly and can accommodate a small child with the fouton. For the most part, loved it. Especially the adventurous drive into the cabin up Jim Smith Road. Scary the first day; fun the second. Cabin was wonderful! 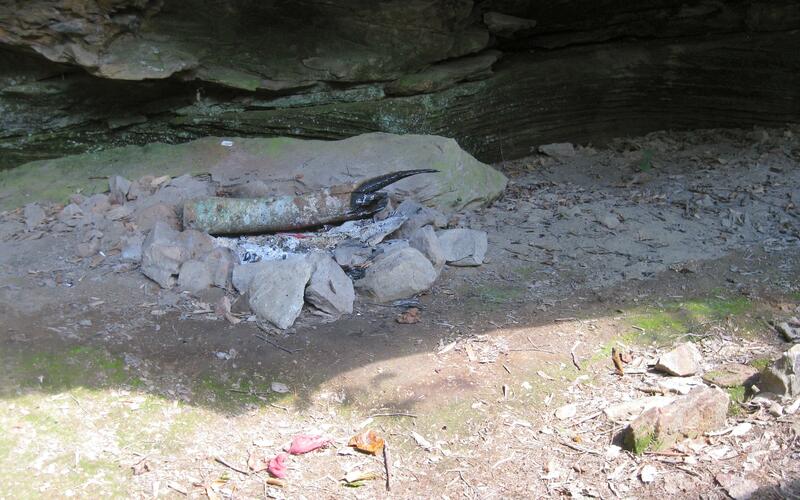 Loved the fire ring in the cave-like setting. Enjoyed the warmth and some smore's. Will be back. Want to bring our kids next time. What a beautiful cabin! This is our 2nd time staying here and enjoying the serenity and beautiful atmosphere. I am certain that we will be back to enjoy your wonderful location again. It can't be soon enough. Just spent 8 days at this cabin and if you are looking for a vacation away from people with a lot of peace and quiet this is the place to be. No nose and lot of solitude setting on the screened in porch just watching the wild life and enjoying the weather, The owners make sure everything runs smooth no matter what so it is a nice place to stay and you do not have to worry about a rundown cabin. Have been here several times and look forward to coming back in a couple months for another week. 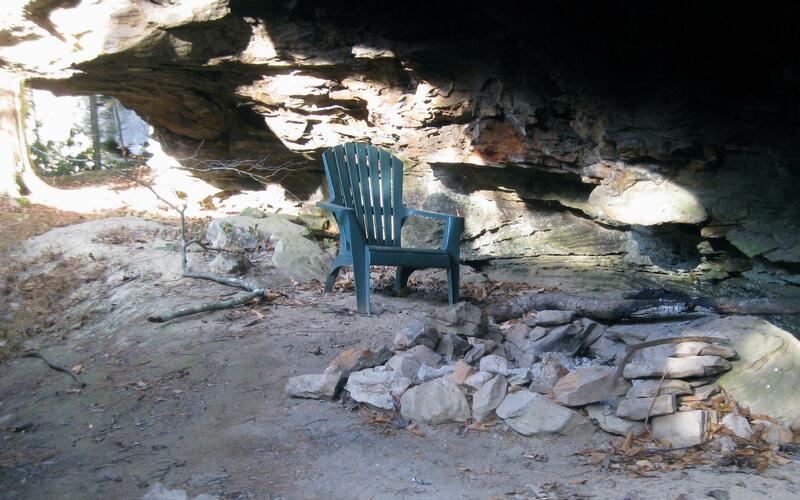 Highly recommend this cabin to anyone wanting to unwind. We very much enjoyed our stay at Fireside. 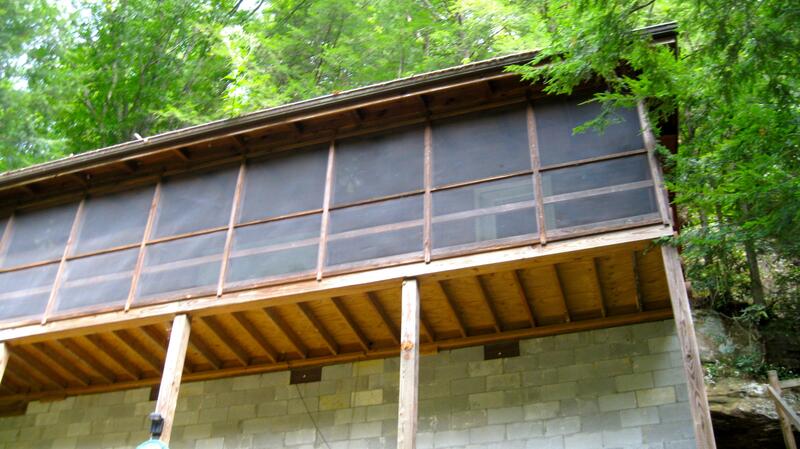 The privacy of the cabin, the many windows, the screened in porch were lovely! 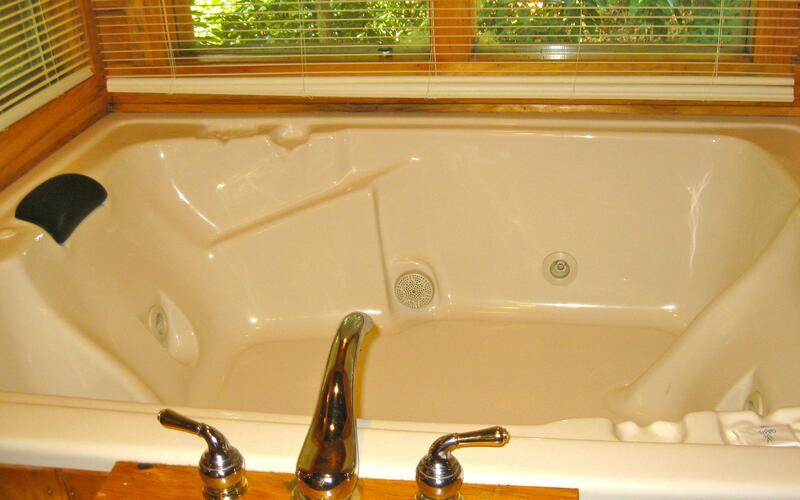 We also enjoyed the jacuzzi tub and the huge shower. Thank you for the lovely stay. Second time we have stayed here at Fireside this year. First time in June. Both times everything was perfect. Long drive from main road made it a nice and peaceful time. Fire pit was nice to have on chilly nights. Front porch nice to sit and take in the trees. Thank you. 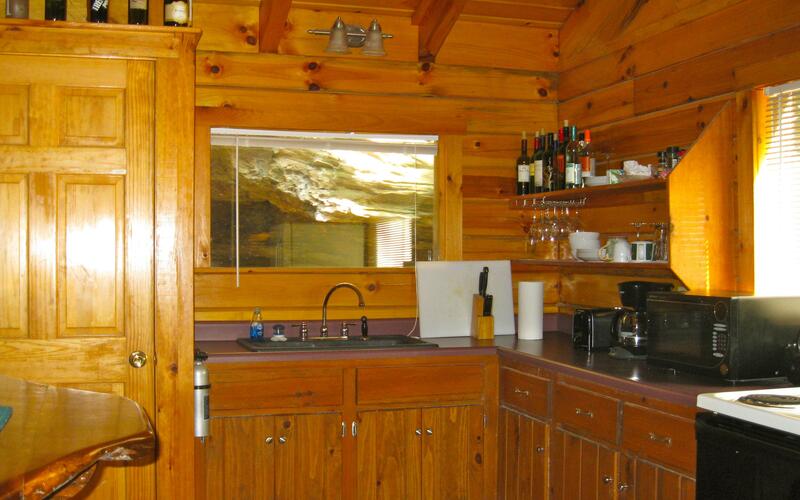 We love this cabin, quiet and secluded! I truly enjoyed my stay the peace and quiet. Such a pretty cabin very clean and well stocked. It is one of the best cabins I've stayed in. Love the bathroom. I give it a 5 star review. My wife and I have spent eight days at the Fireside cabin. Without a doubt the most peaceful, relaxing, restful eight days ever. Hated to pack and leave but will definitely be back every chance we get. 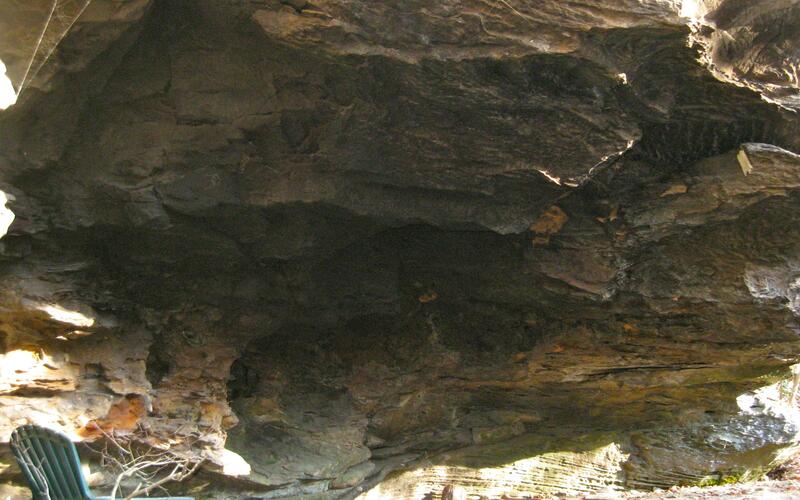 The scenery is beautiful, weather is great and the peace and quiet cannot be found any better anyplace else. If you are looking to unwind and rest yourself it is worth every penny. Everything was perfect! They even helped us out when we ran out of gas. The Fireside Cabin is lovely. Spacious and cozy at the same time. Very clean and cozy. Loved the screened porch and our own personal waterfall out front. 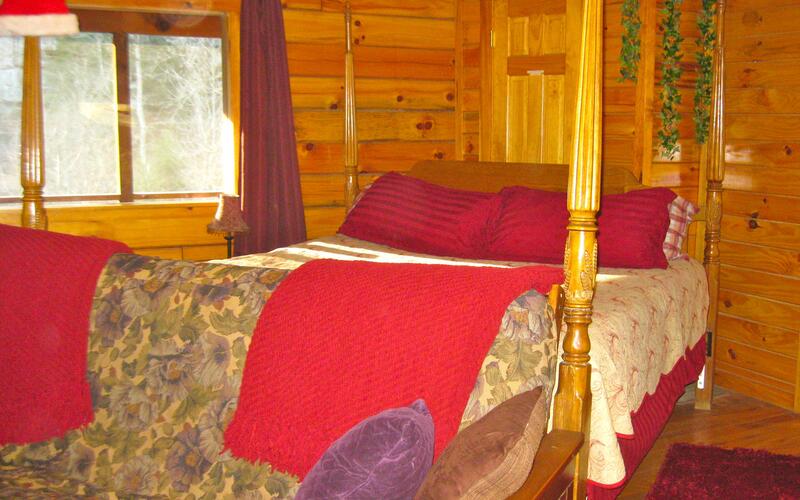 Delightful cabin-enjoyed the fire circle, washer/dryer, screened in porch and big bed. We'll be back again!